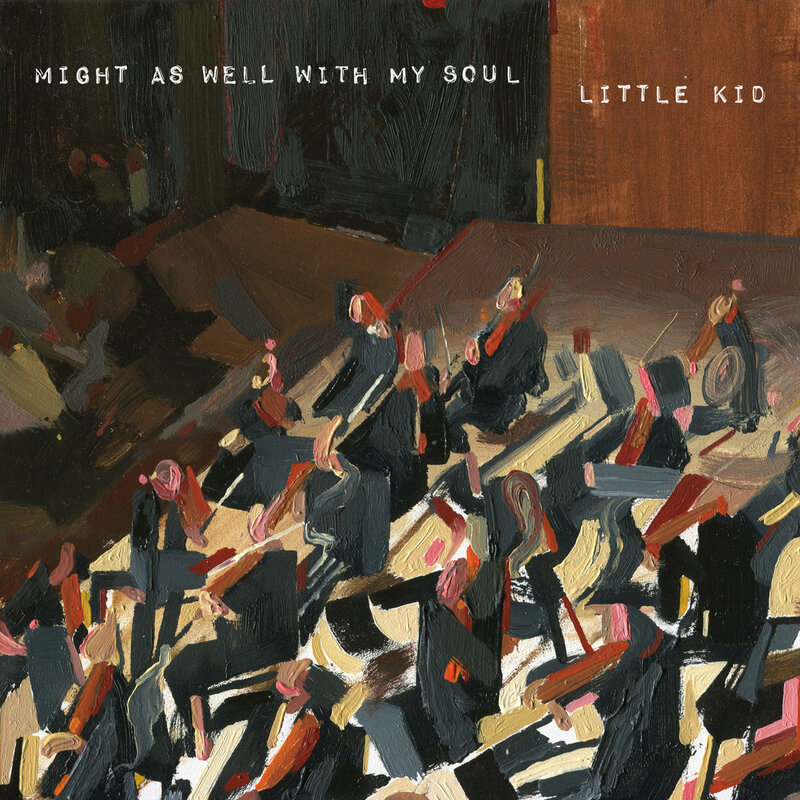 As their catalogue grows, Little Kid’s sound is expanding to a richer palette. Their fifth release SUN MILK, which came out last year, had lengthy, harsher tracks and signaled a shift away from the band’s introverted lo-fi folk sound of their earlier releases. The rockier, post-country vibe of their latest, Might As Well With My Soul, is a nice development for an evolving band who continually produce beguiling recordings. “Love Minus Seven / No Livin,” whose guitar melody sounds like Weezer’s “Undone,” and “In The Red” are some of Little Kid’s more gritty tunes and are both punctuated with whiny guitar din. Elsewhere, Little Kid live at an unhurried and gentler pace. “Receiver” is a long distance phone call. It’s multi-layers fill this space with a weighty haze – the “something I couldn’t name,” as Boothby calls it – while the combo of Paul Vroom (bass) and Brodie Germain’s (drums) tender craftsmanship sounds particularly nice here. “Your Orange and Blues” is another strong ballad centred on Boothby’s words of heartbreak and disappointment: “You are impossible,” he sings and then delivers two quick pounds of piano chords like two exclamation points. In June, when Boothby sent me Might As Well With My Soul, I immediately abandoned whatever I was doing at that moment to press play. Boothby’s voice – nasally and often hushed depending on the song – quickly enveloped me. He slips in between the cracks made by the plodding piano and guitar of the opening track “The Only Light,” much like the light might through the cracks of the blind. And then, suddenly, the next track, “Two Invitations” begins. I loved it from beat one. It’s a song about getting invited to a friend’s wedding. Except it’s a friend who you share with an ex who will also be attending. And so really it’s a song about navigating social landmines at weddings. In the song’s chorus, Boothby and Megan Lunn, a new addition to Little Kid, sing, in a bright, catchy melody: “you were sweating through your dress, you said: “why do people get married in July?”” At the time of this initial listen, I was in the throws of mentally preparing to attend a friend’s wedding in July and so I couldn’t help but smile and nod my head. “Two Invitations” became a go-to song for me in July and continues to be one of my favourite songs from the year. I saw a comment on a photo that Little Kid posted on Instagram recently that made me laugh out loud. Somebody asked them “Why aren’t you bigger[? ]” to which Little Kid bluntly replied, “we don’t have any money and our songs are long”. Please buck your chaotic listening habits for a spell and dig into Little Kid. They are worth it.